The range of cryo-thermo bands have been developed to be used in conjunction with the Rebound Sports Recovery compression system to supply cold therapy to joints and muscles. Together the two products provide the basis for effective RICE (Rest, Ice, Compression, Elevation) treatment for acute musculoskeletal injuries such as sprains and strains. The cryo-thermo bands can simply be placed in the freezer till required and then used on the affected limb either on its own or under the compression garment of the Rebound Recovery pump. Affordable and effective; available for purchase! 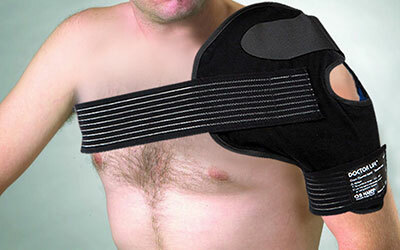 Looking after musculoskeketal injuries with the right equipment will speed up your recovery. 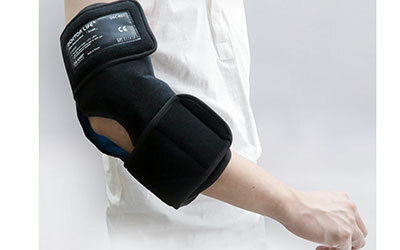 Which part of the body can the cryo-band be used on? 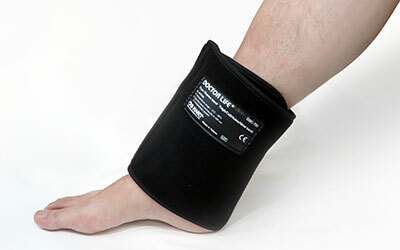 We have cryo-bands available for the knee, ankle, shoulder, wrist, lower back, calf and thigh. Do I need a compression pump as well? 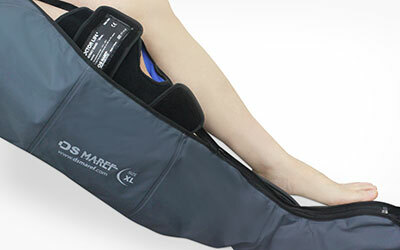 Whilst the cryo-thermo band provides pain relief and assists the healing process, compression is an essential adjunct to reduce swelling following musculo-skeletal injury. 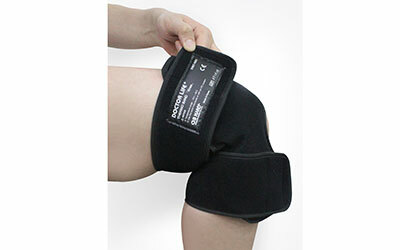 The cryo-thermo band was developed to be used under our highly successful compression pump. Please call us to discuss delivery or collection options.